Every year, the second-grade class at our son’s school does a Day of Gratitude in November. 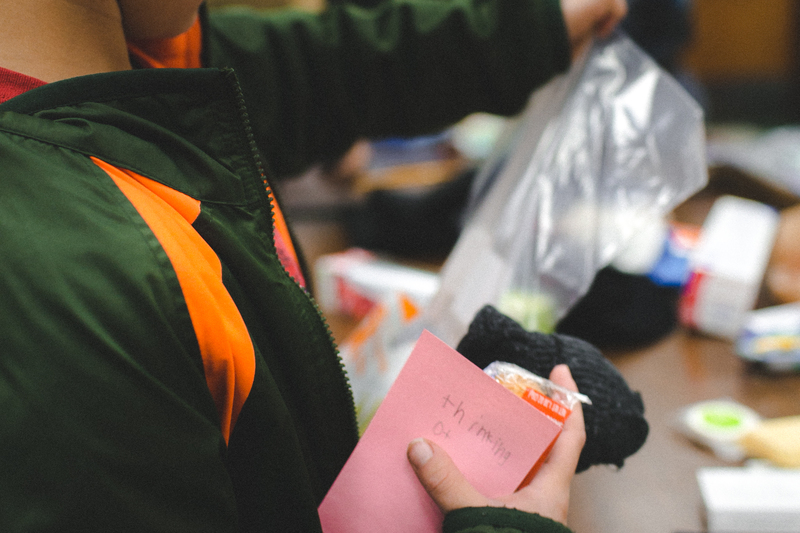 They ask for donations of hygiene items, small food items, warmth items, and large Ziploc-style bags. 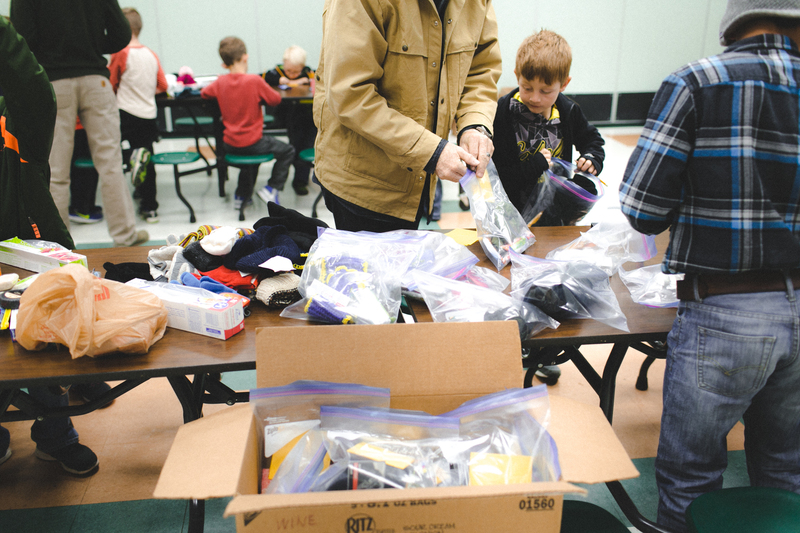 When the donations are in, PTO invites all of the second-grade families to school for an evening to assemble everything. By far, this has been my FAVORITE activity. A pile of second-grade girls set up shop at the end of one of the long tables and wrote notes like it was the most important moment of their lives. Even though we had an hour to fill all of the bags, collectively we were finished within 20 minutes. Over four hundred bags were filled in 20 minutes. Isn’t that amazing? 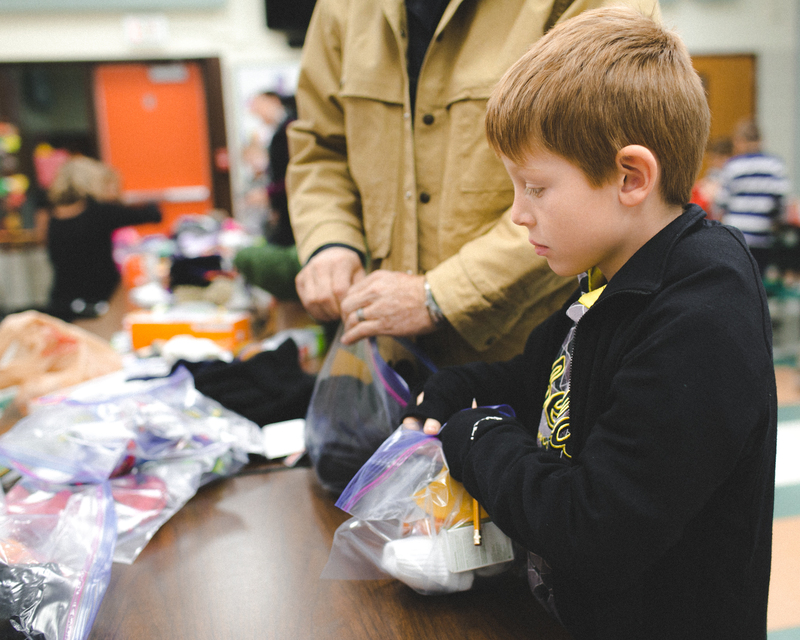 Twenty minutes of work resulted in giving to 400 people in need. People who don’t have a home. People who might not have had food in too long. People who live outside in the cold. PEOPLE. If we can do THAT in 20 MINUTES, what else can we do? Super, super. This is so impactful for all involved. I love the look on Ewan’s face! Such an awesome project and lesson for all! The boys were both really into it. I was beyond thrilled that the school did this – such a great activity and reminder to do this MORE!! !